Need some hostess gift ideas for upcoming holidays? I've got a couple of cute ideas to share with you! How about a bottle of your favorite bubbly (we like Martinelli's) with a handmade bottle tag attached. 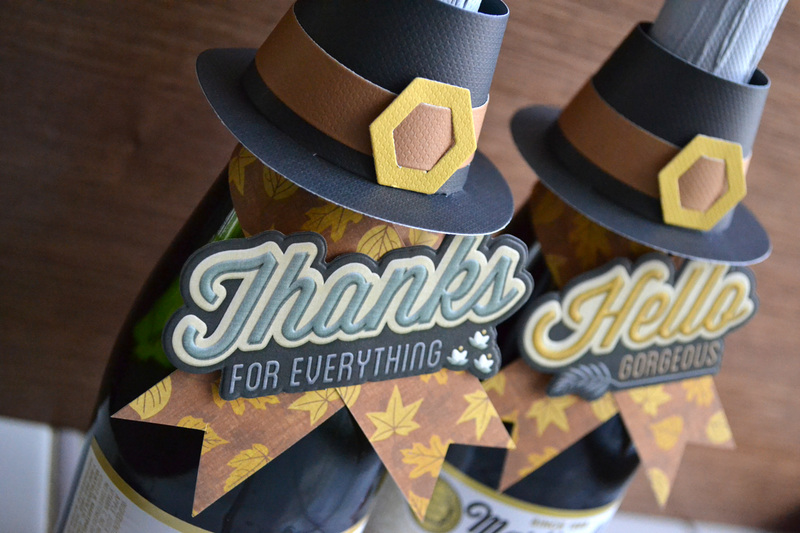 These darling bottle tags take minutes to make and are the perfect way to express appreciation to your Thanksgiving hostess. You could also use these tags for flower vases, flavored vinegar, glass soda bottles, lotions, bath crystals, or any other narrow upright container. Visit the We R blog HERE to learn how to make these. 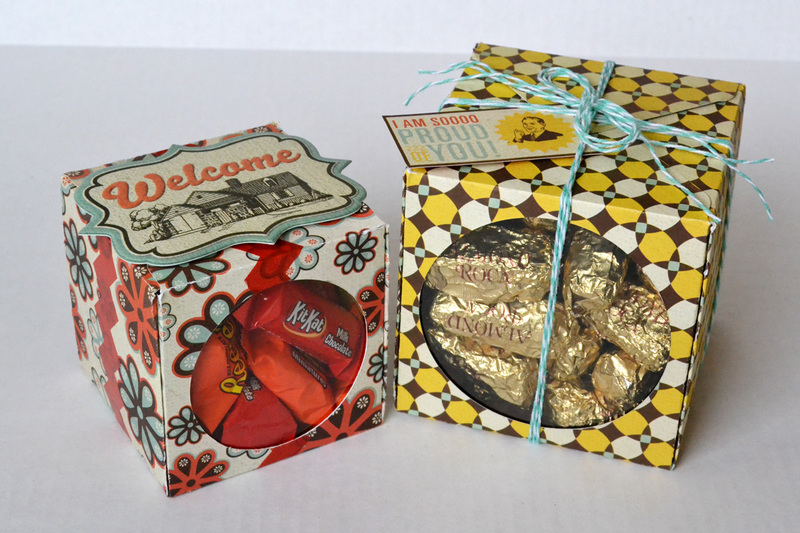 Another fun hostess gift idea is a Window Gift Box. These cute boxes are easy to make with the Gift Box Punch Board and the Magnetic Circle Cutter, and it's kind of fun for your recipient to get a little sneak peek of what's inside the box they're getting. You can make Window Gift Boxes for any holiday or occasion. Just select some patterned paper to match your theme. CLICK HERE to watch a video tutorial on how to create these little cuties. I hope these ideas help jump start you holiday crafting mojo. Enjoy! 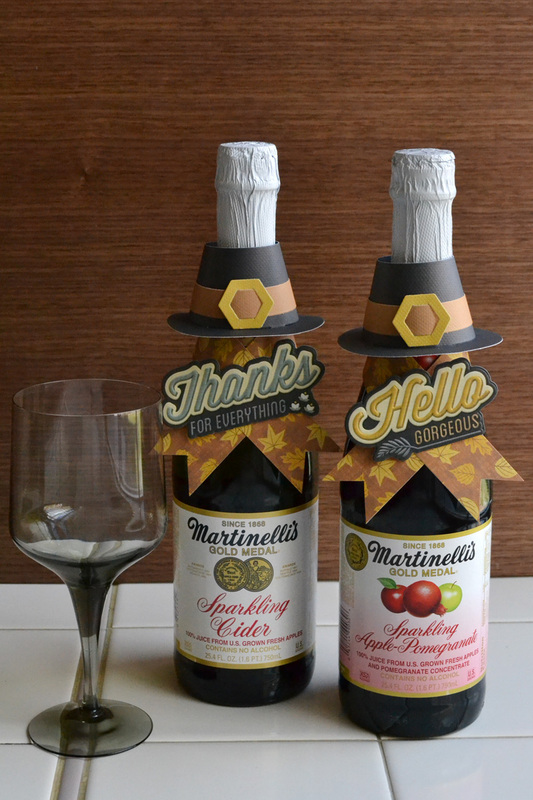 Those bottles are adorable and look super easy to make.